California Poppy (Eschscholzia Californica Cham) other names: Amapola de California, Eschscholzia californica, Pavot d’Amérique, Pavot d’Or, Pavot de Californie, Poppy California, Yellow Poppy. The herbaceous plant called the California poppy is native to the western regions of North America. California poppy is a small annual or perennial plant that can reach two ft or sixty cm in height when fully grown. The leaves of the California poppy are finely cut and the plant bears pretty red, bright orange, and yellow or pink color flowers - and many people around the world cultivate the plant for its flowers. The California poppy plant bears a single flower that appears on an extended stem during the period between February and September. The flowers of California poppy have a silky texture, four petals - each of which is about 2 cm to 6 cm (about 0.79 inch to 2.4 inches) in length and broad. Their color varies and may be anything between yellow and orange. The petals of California poppy close during the night or when the atmospheric conditions are cold and windy. While they open on the next morning, you may also find them closed when the weather is cloudy. The fruit of California poppy is a narrow, dehiscent (bursting open naturally) capsule that is anything between 3 cm and 9 cm (about 1.2 inches and 3.5 inches) in length. The fruit naturally splits open into two releasing several small seeds which may be black or deep brown in color. 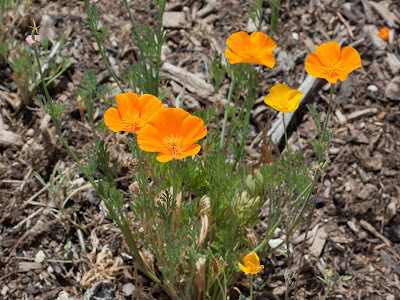 California poppy has the aptitude to stay alive in mild winter (as per its native range). California poppy completely withers away when the climatic conditions become very cold. 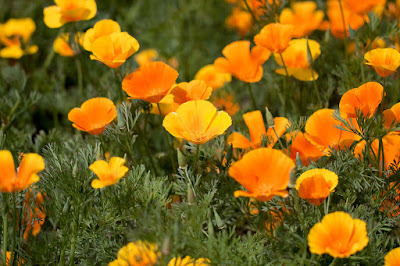 California poppy thrives well even in sandy, poor soils, provided the drainage is proper and in total sunlight. It is worth mentioning here that a widespread false impression is related to California poppy. The misconception is that as this flower has been designated the state flower of California, damaging or cutting the flower is illegal in this state of the United State. However, the fact is that no such law exists in California. However, California poppy can be removed or cut in the public land or along the country highways only by people who are authorized by the government to do so. In addition, cutting or removing the plants growing on private land without seeking the consent of the owner is also illegal. The western parts of the Northern America is where the California poppy grows in the wild, it has been transplanted away from its native region to areas of similar climate and geography. The California poppy grows best in sandy type of soils, and California poppy is widely cultivated as a garden plant in many parts of the world. California poppy is a plant. It is the state flower of California. People use the parts that grow above the ground for medicine. California poppy is used for trouble sleeping (insomnia), aches, nervous agitation, bed-wetting in children, and diseases of the bladder and liver. California poppy is also used to promote relaxation. In combination with other herbs, California poppy is used for depression, long-term mental and physical tiredness (neurasthenia), nerve pain, various psychiatric conditions, blood vessel problems, sensitivity to weather changes, and sedation. An herb combination including California poppy is also used for sleep and mood disturbance associated with strong, warm wind in the Alps (foehn illness). Native Americans traditionally used the leaves of California poppy therapeutically, while they used the pollens of the plant to make cosmetics. The seeds of California poppy are utilized in cooking. An aqueous extract from California poppy has anxiolytic (a medication used to alleviate anxiety) and sedative consequences. When the extract from this plant is smoked, it results in mild sedation - a much lesser effect compared to that of smoking opium. California poppy appears to be safe for most people when taken appropriately by mouth for three months or less. There isn't enough information to know if California poppy is safe for longer term use. Pregnancy and breast-feeding: Not enough is known about the use of California poppy during pregnancy and breast-feeding. Stay on the safe side and avoid use. 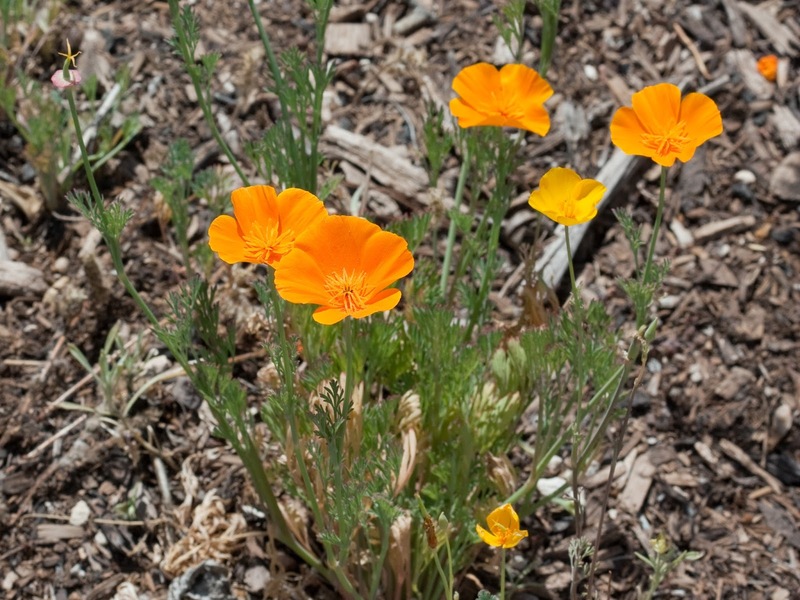 Surgery: California poppy can slow down the central nervous system, causing sleepiness and other effects. There is some concern that California poppy might slow down the central nervous system too much when combined with anesthesia and other medications used during and after surgery. Stop using California poppy at least 2 weeks before a scheduled surgery.